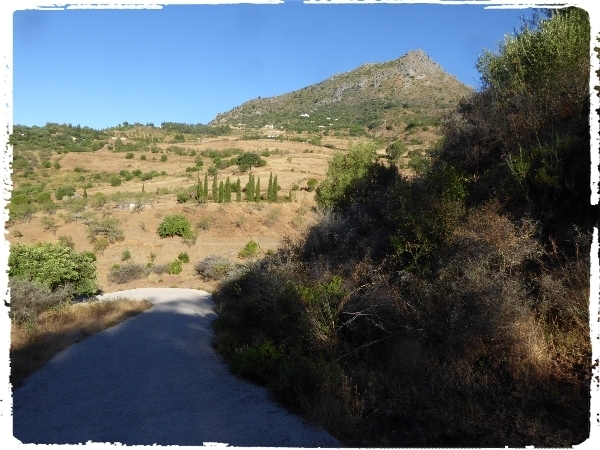 One of our favourite walks takes us from the eastern edge of the village beneath the Castle round to Camino Gibraltar on the west side, you drop about 200 meters in the Genal Valley and it is a steep climb back up. 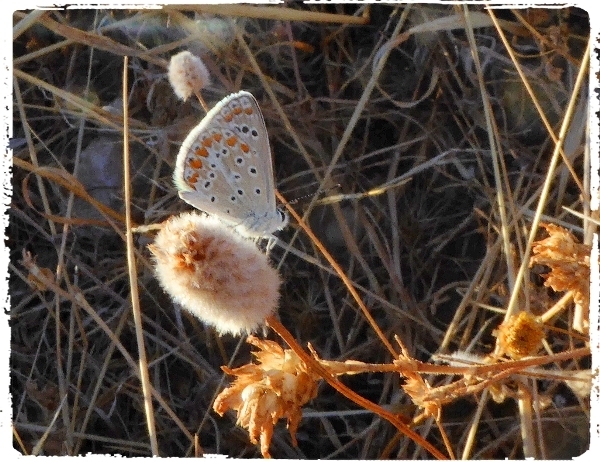 Regular sightings during the walk are made up of Sardinian Warbler, Blackcap, Cirl Bunting, Jay, Common Stonechat, Blue Rock Thrush, Common and Pallid Swift, Booted and Short-toed Eagles and small groups of post breeding Bee-eaters. 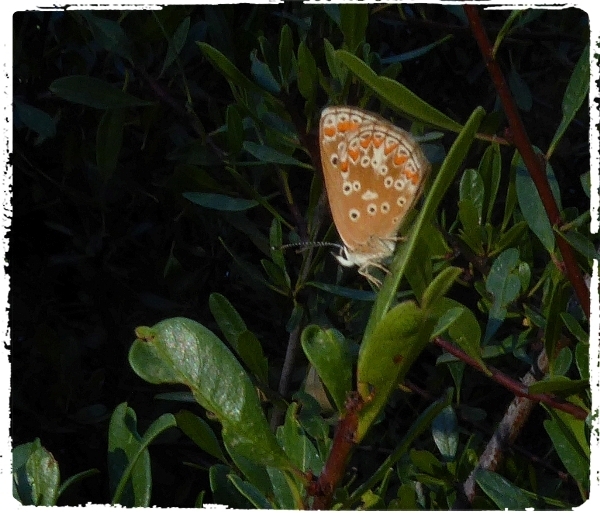 Several butterflies are seen each day: Cleopatra, Small Blue, Holly Blue, Meadow Brown, Speckled Wood, Small White, Grizzled Skipper and yesterday a MONARCH flew by, this was the first sighting ever of this species around Gaucin. 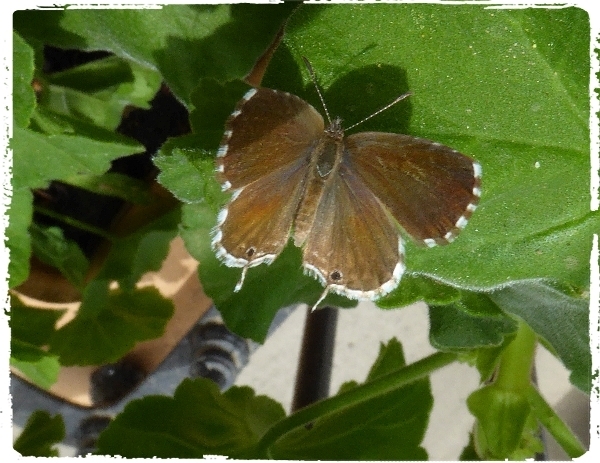 One particular butterfly, the GERANIUM BRONZE, feeds on geraniums, not one of Dawn's favourites but a little beauty really. 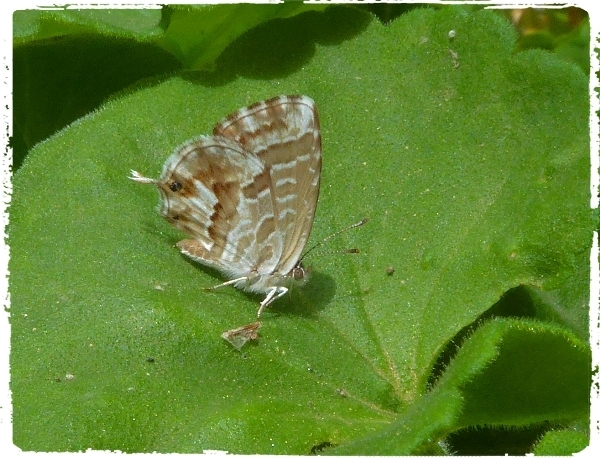 THE GERANIUM BRONZE - taken in our courtyard on a geranium! I still hear Bonelli's Warbler, Blackcap and Iberian Chiffchaff. On the 19th we saw a party of 7 WILD BOARS just off the track and several lacewings in the grass. Our trip to the river yesterday was very nice, we have a couple from New Zealand staying with us so they joined us, also Dawn's daughter Sophie and her fiancé John, came too. Later another John joined us, our American friend who lives just outside of Gaucin. 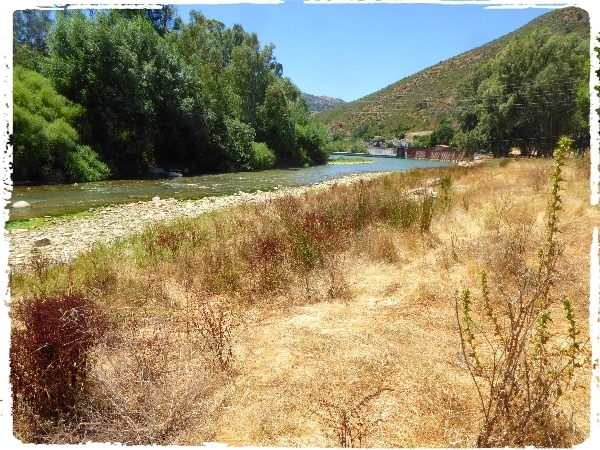 The Rio Guadiaro from near our picnic spot. Sightings were few as it was quite windy down at rhe river under our favourite tree, but Common Kingfisher showed briefly, Grey and White Wagtails, Serin, Linnet, Goldfinch, Green finch, Cirl Bunting and a flock of Rock Sparrows came down to drink. 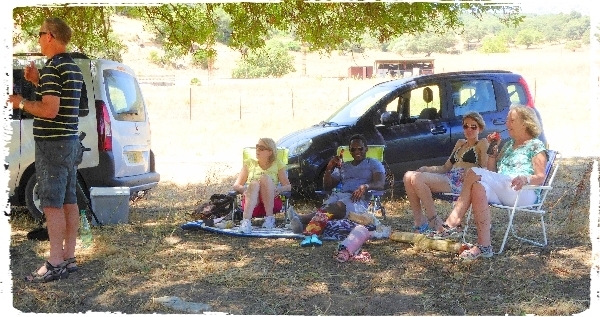 some of the picnickers left to right Cameron (NZ) Dawn, John & Sophie, Robyn (NZ). We ate a late picnic lunch and return home around 5pm.